Jim Hunyady currently serves the company as a field supervisor. His responsibilities include the physical auction site layout, equipment movement and operation, material handling, mechanical repair, inspection, and safety. 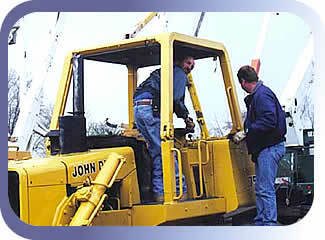 Jim worked as a professional hydraulic and conventional crane operator for Anthony Crane Rental for 15 years. Past membership in the International Union of Operating Engineers and United Mine Workers of America has provided great experience and education.